Tuesday Text – The Story Of Philosophy | My Journey So Far…. 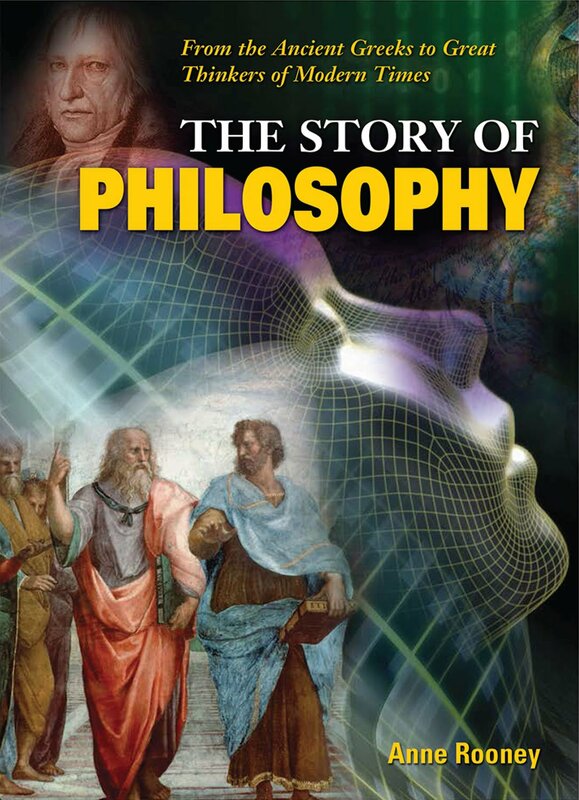 ‘The Story Of Philosophy‘, is a book by Anne Rooney, illustrating the advent of thinking Philosophers and the evolution of Philosophy over the time. This book traces it’s Philosophical roots from ancient Greeks to the modern thinkers. Beautiful illustrations with side notes, and related short stories embedded in the text, enhances the whole experience of reading and learning. It won’t make any point in reviewing this book, as it actually is a journey of the philosophical ideas of various philosophers. So, I would rather present to you some snapshot, or shall I say intellectual words deserving a good sharing with wider audience. When Rene Descartes said, ‘I doubt, therefore I think, therefore I am‘, he put forward a very good reasoning, that I reason, that is why I am into existence, but what am I? What is I? This is the difference between Being and Knowing. Thought proving discussion has taken place among philosophers of various centuries to understand, what are we? What is Human Being? Is he mind, or matter, or soul? Where does our soul go when we die? Where do we go, when we die? Is there a heaven and hell? What is Self? What is consciousness? As Searle, put it, “Consciousness is an emergent property of the brain”. But, is it, only that? Most fascinating thing that happened in the history of Philosophy is the relationship that three of the world’s greatest Philosophers have shared with each other. Great Philosopher Aristotle, was a pupil of Plato, who was actually a devoted pupil of Socrates, the great thinker of his time. What an amazing Philosophical lineage? How should we live? If everything is predestined by God, how does it matter? How can we judge action of others, if every one of us is behaving the same way as God has destined us to do? What is a free will? If there is a free will, what will we choose, good or bad? How will we choose? Can we ever live in a perfect ethical and morally good society? What is good?